Do you want to cope with your pet's power during daily outings? Is your Dog active and strong canine? Comfortable dog leash is the best accessory for an experienced pet handler. It helps to control even the strongest canine and correct his behavior. 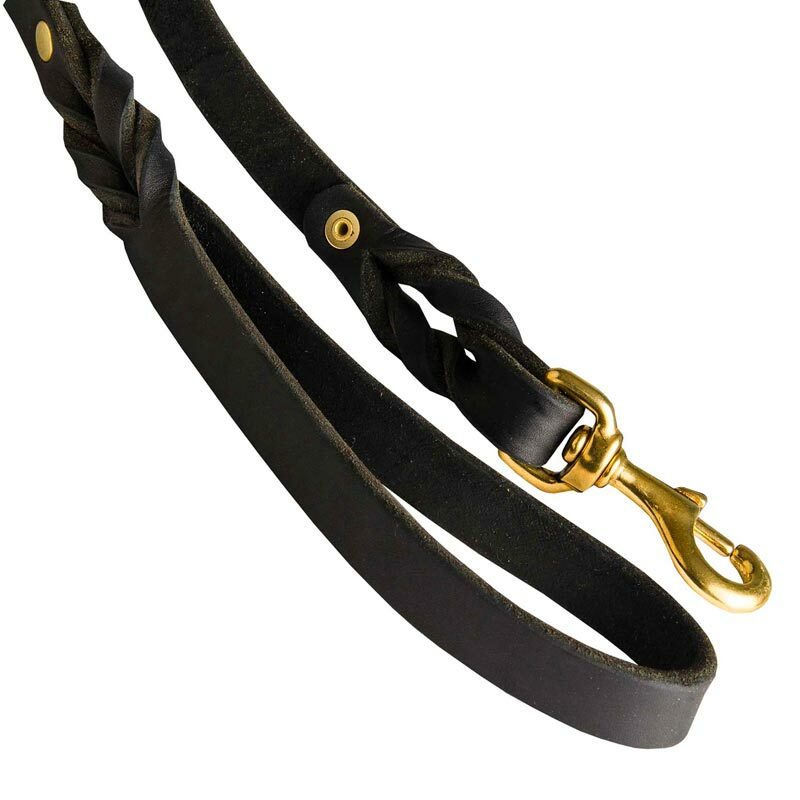 If you look for durable and reliable dog lead you have found it on this page. This model corresponds to the requirements of professional dog trainers, therefore you can be sure of its premium quality. As well as the rest of our dog goods this very lead is made in accordance with the international standards but it is indication of its usability, functionality and convenience. Our experts recommend using this equipment for adult dogs, for large and strong canines, for young dogs. 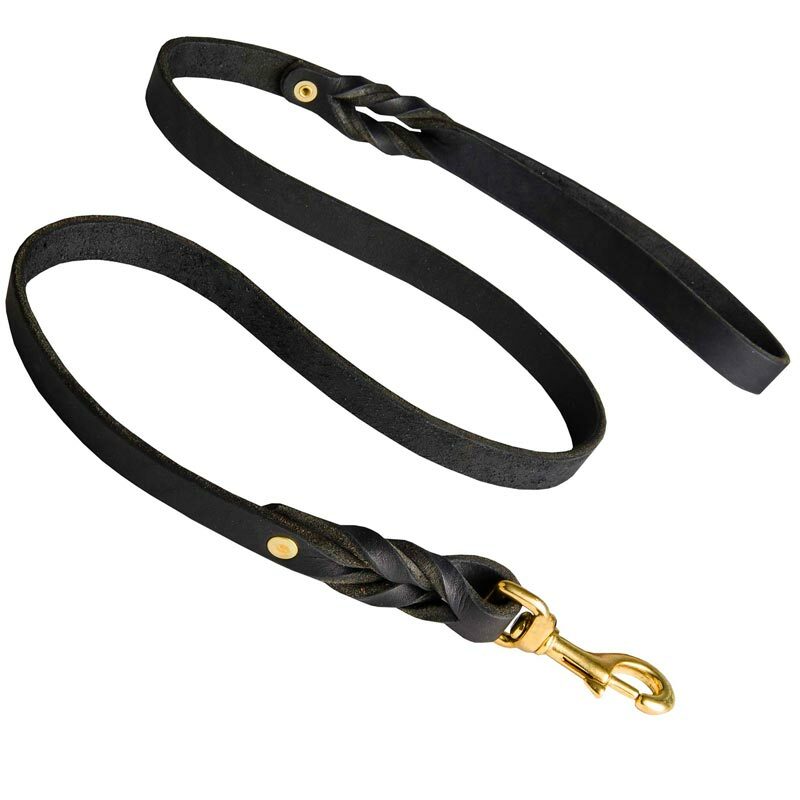 Braided decoration of this supply adds sophistication to its appearance so you can emphasize the best characteristics of your Dog with the leash. Fancy braids will add some luxury to your usual daily walks. 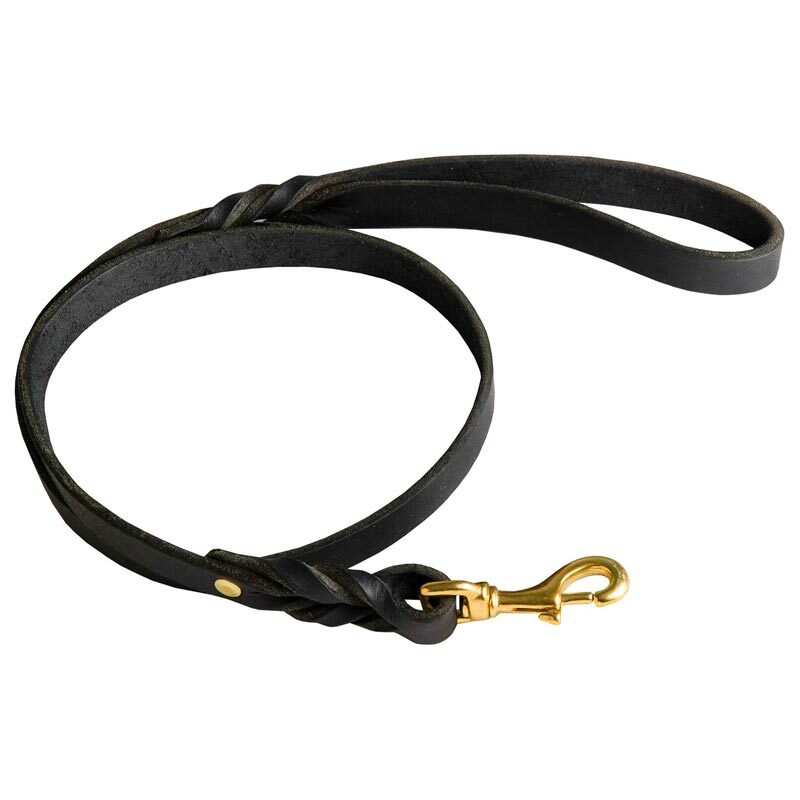 Made of 100% full grain natural leather the Leash is extra strong and won’t probably tear for years. It is designed to be durable enough to withstand overload when your Dog pulls too hard. Moreover, it is rather soft not to tear the sensitive skin of your palms. Take care of leather material to prolong its service time. This is natural material that does not cause skin allergies.